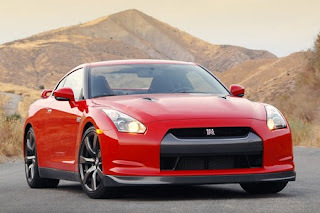 Nissan recently granted Autoblog four fleeting days with a red 2009 Nissan GT-R. While it seems every major automotive outlet has tested "Godzilla" on the track (including our First Drive), we chose instead to keep it on the streets to see if one of the world's most powerful and fastest accelerating cars could be domesticated by stop-and-go traffic, family errands, and carpool duty. Feeling evil, we ran the GT-R on the same Southern California roads that hosted our Porsche Cayman S just weeks prior, fully expecting the very tight and technical corners to throw the heavyweight Nissan off balance. We couldn't have been more wrong. While the six-speed Porsche delicately sliced its way from corner to corner without breaking a sweat, the GT-R was much more brutal in its approach. The harder we pushed, the better it got. In full "R-mode" the GT-R would scream into corners carrying far too much momentum. Just when we thought it was too late, the massive brakes would bleed the speed so we could flick the steering wheel around the bend. Stabbing the throttle into the carpet, the rears would break free for just a few feet while the back end came around. Milliseconds later, the fronts would hook-up and drag all 3,900 pounds to the next corner in lightning speed. While most overpowered exotics never fail to remind the driver of their quirks (usually at the most inopportune times), the GT-R follows every request the driver commands. The Nissan quickly inspired the type of confidence that could make a poor driver look good, and a good driver look great.